Enjoy better selfies with the 8MP front camera, get excellent low light photography with the 13MP rear cameras, listen to SuperSound with Histen 5.0, and experience strong performance and the latest features in EMUI 9.0. Discover a new world without boundaries in the 6.09” Dewdrop HD+ display. This wide screen with a 87% screen-to-body ratio¹ provides a greater view for your videos, photos and favourite books. 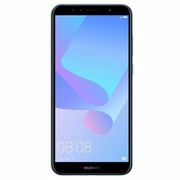 The HUAWEI Y6 Prime 2019 also blocks out harmful blue light and is TÜV Rheinland certified. The 12nm chipset and 2+32 GB expandable⁴ large memory of the HUAWEI Y6 Prime 2019 can store all of your content and has the ability to multitask smoothly. 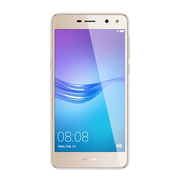 The HUAWEI Y6 Prime 2019 leverages a 3,020mAh⁵ battery with intelligent battery optimization. The software with hardware synergy works together to keep your phone going all day long. Enjoy better selfies with the 8MP front camera, get excellent low light photography with the 13MP rear cameras, listen to SuperSound with Histen 5.0, and experience strong performance and the latest features in EMUI 9.0. LIMITLESS DEWDROP DISPLAY Discover a new world without boundaries in the 6.09” Dewdrop HD+ display. This wide screen with a 87% screen-to-body ratio¹ provides a greater view for your videos, photos and favourite books. 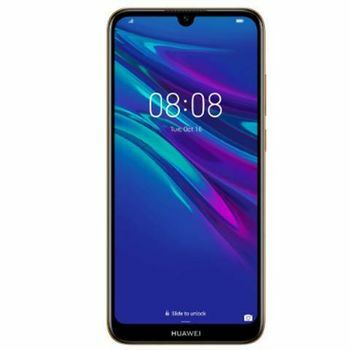 The HUAWEI Y6 Prime 2019 also blocks out harmful blue light and is TÜV Rheinland certified. 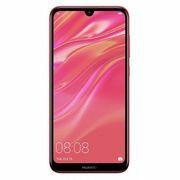 STUNNING 8 MP SELFIE CAMERA The 8 MP front facing camera on the HUAWEI Y6 Prime 2019 paired up with an advanced Selfie Toning Flash 2.0, a front flash toning light assisted by screen light, enables you to capture a true, natural and accurate portrait even in low light conditions. LOWLIGHT PHOTOGRAPHY Capture greatness with the 13MP rear camera. The wide f/1.8 aperture lens lets in 50% more light² to enhance the quality and clarity in your low-light shots. 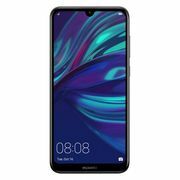 HUAWEI SUPERSOUND The HUAWEI Y6 Prime 2019 can release an additional 6db of sound³ with stronger bass effects. This phone is your personal portable speaker while listening to music at home, partying with friends or hanging out at the beach. And you also have a built-in FM radio that can be heard without earbuds. 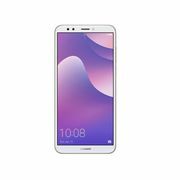 EQUIPPED FOR PERFORMANCE The 12nm chipset and 2+32 GB expandable⁴ large memory of the HUAWEI Y6 Prime 2019 can store all of your content and has the ability to multitask smoothly. 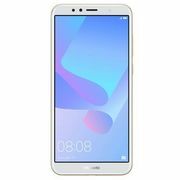 INTELLIGENT BATTERY LIFE The HUAWEI Y6 Prime 2019 leverages a 3,020mAh⁵ battery with intelligent battery optimization. The software with hardware synergy works together to keep your phone going all day long. EMUI 9.0 WITH ANDROIDTM 9.0 PIE EMUI 9.0 is a smart, simple and intuitive software upgrade. The full screen gesture navigation and added system speed enhancements with an intelligent Phone Manager help to deliver an overall smoother experience. 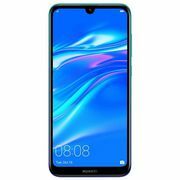 FACE UNLOCK & FINGERPRINT SENSOR The HUAWEI Y6 Prime 2019 protects your information with face unlocking and a fingerprint scanner. The Face Unlock intelligently increases the brightness in low-light conditions to easily see your face.